Elizabeth March 26, 2012 1 advocacy, Commute, National Bike Summit 2012, Travels and Adventures Bike Commuters, commute by bike, national bike summit, washington d.c.
What did I do for spring break? 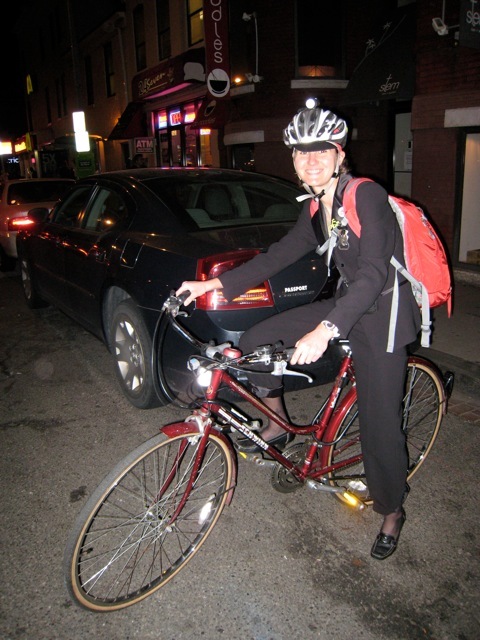 I went to Washington, D.C. for the National Bike Summit – of course! Now that I’m back, I’m sorting through my many photos and notes from the very busy and informative days. I was also lucky enough to have been in D.C. during the peak blooming of the cherry blossoms – during the 100th Anniversary of the National Cherry Blossom Festival. I even was lucky enough to have borrowed a bike for the week from Miriam’s friend who lives in D.C.
After a long day on Capitol Hill - still smiling because I'm on a bike! Stay tuned for more posts about the Women in Cycling Forum and other sessions I attended, as well as photos from the Summit and of the Congressional Bike Ride. 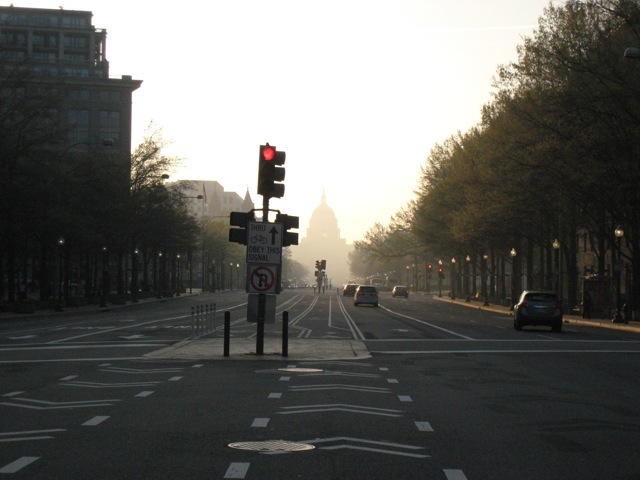 My morning commute to Capitol Hill down Pennsylvania Avenue's center bike lanes. I look forward to hearing more about the trip and the conference.